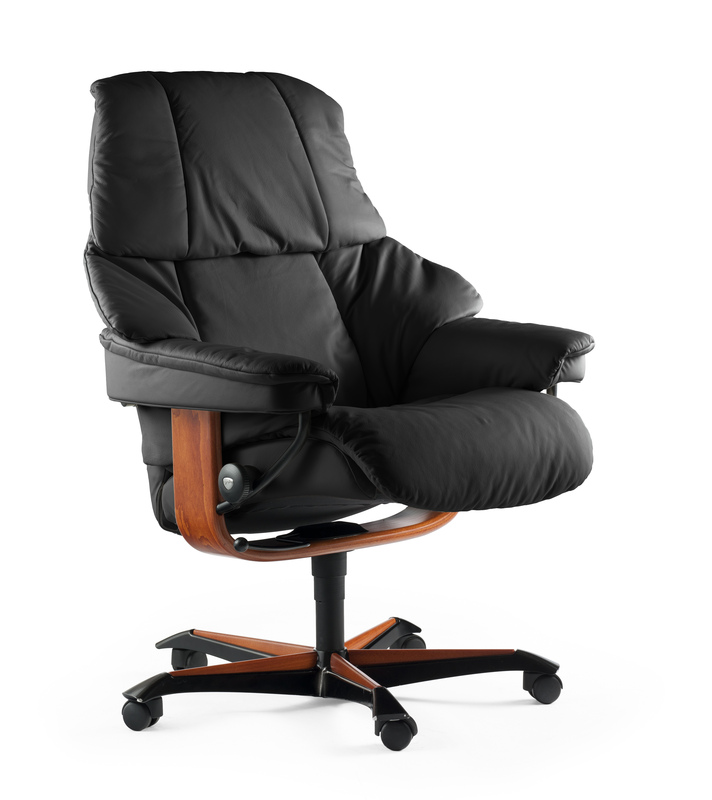 The Stressless Reno Office chair is built with perforated foam molded directly over the frame. The indentations in the new Comfort-Zones™ technology allows your body to sink deeper into the seat, giving you an enhanced feeling of personal comfort. 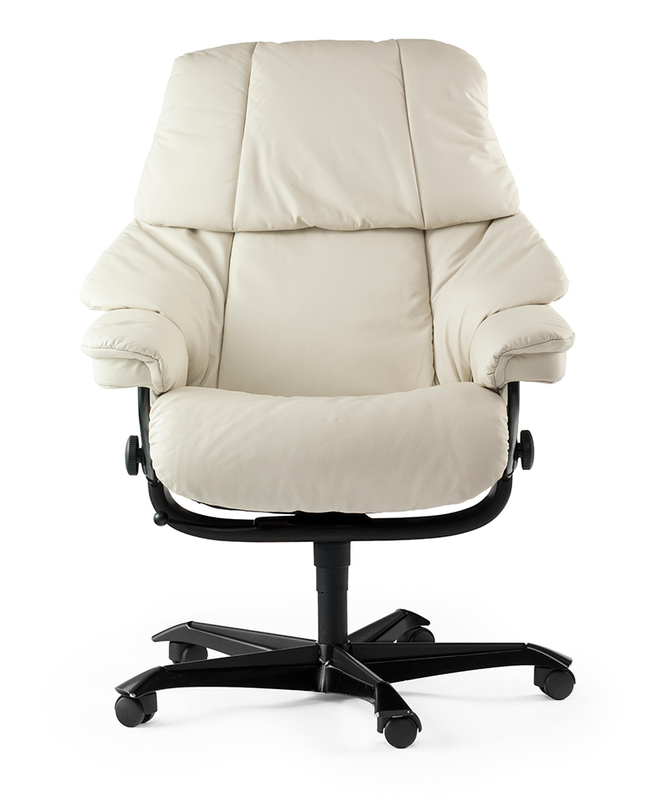 An additional pad of soft space-age foam ensures optimum comfort. The super-soft polyester fiber cushions your body and ensures an attractive look.